USD is getting stronger than CAD due to the Fed rate-hike in December and the economic reports in Canada. The pair is finding support at 1.33160 with resistance at 1.3360 which both lines are above the weekly pivot point at 1.32310. The EMA of 10 is moving with bullish bias and it is located above the EMA of 100. The RSI is falling down towards the 50 level, the MACD indicator is in positive territory and the Stochastic is moving in neutral area. 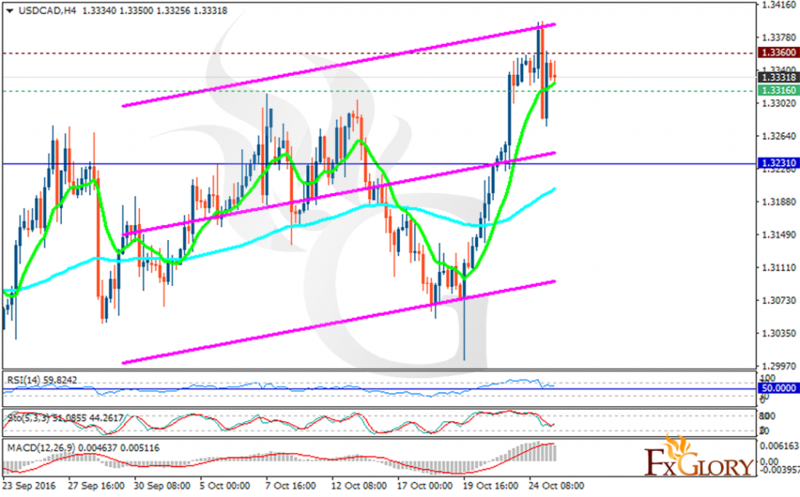 Short positions are recommended with the target at 1.3250.